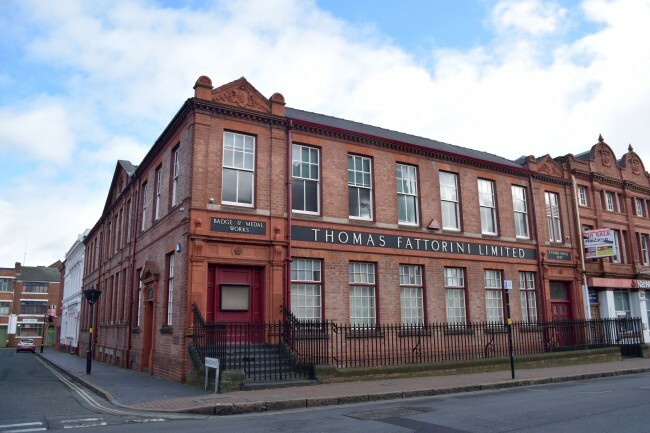 If you’ve ever visited the Jewellery Quarter, you almost have certainly passed the Fattorini building located on Regent Street. Impressively, after nearly two-hundred years in business, it’s still owned by the Fattorini family. Antonio Fattorini moved to England from Italy, and set up business with his sons in Yorkshire, and as the business expanded and diversified, he then decided to set up in Birmingham in 1927 and moved the building to the Jewellery Quarter where the building stands today. The family are mainly known for producing badges and medals, and one of their claims to fame is that they designed and produced the much-loved FA cup in 1911! Now that’s not too bad at all.